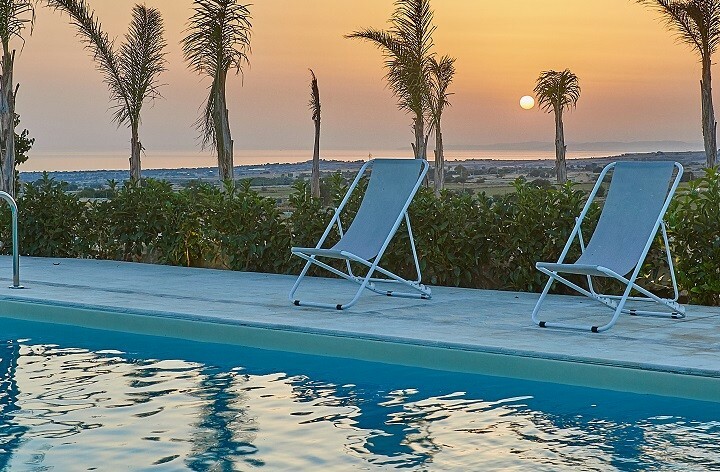 Grab a week in the sun at Whitsun half-term and take advantage of our discounts of up to 20% on a selection of villas in Sicily, some with pools, throughout the island. A pool, table tennis and sprawling garden with a stunning fully-equipped outdoor kitchen are likely to keep all the family happy at Whitsun. Casa del Gelso is a 2-bedroom villa set between the coast and Sicily’s Nebrodi Mountains, which provide some of the island’s most spectacular and least visited landscapes. For just 15 euros, including a picnic lunch, you can join a half-day guided trek to the dramatic Rocche del Castro in the mountains. Boat trips and snorkelling excursions are available from nearby Milazzo to the Aeolian Islands and the seaside resort of Cefalù, with its UNESCO world heritage cathedral, is just along the coast. A week at Casa del Gelso (sleeps 7) at Whitsun has been reduced from £1771 to £1417. Fly Ryanair, Stansted-Palermo from Stansted. Slip through the garden gate straight on to the beach or wander up to your private jacuzzi on the rooftop terrace to gaze out across the lawn to the ocean. 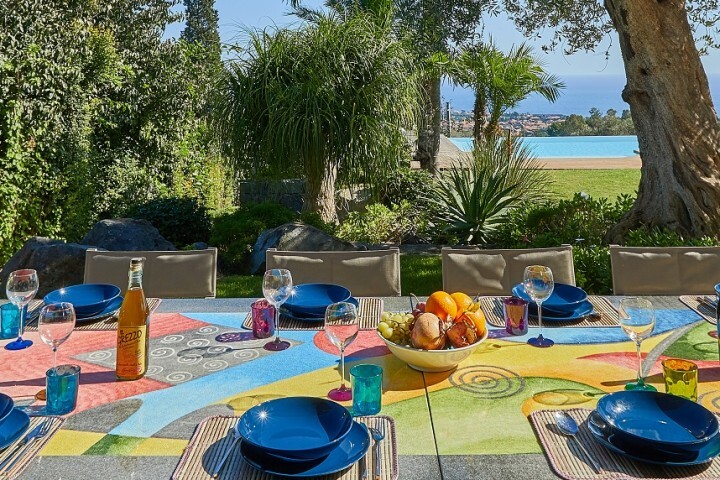 Villa Carlotta is a contemporary 3-bedroom villa close to the seaside resort of Cefalù on Sicily’s north coast. A garden studio provides extra living space for families with teenagers. For active families, there is the option of hiking excursions in the Madonie mountains or, one for all the family, a street food tour in Palermo. Prices at Whitsun half-term have been reduced by 15% to £1058 (sleeps 8). Fly Ryanair, Stansted-Palermo. 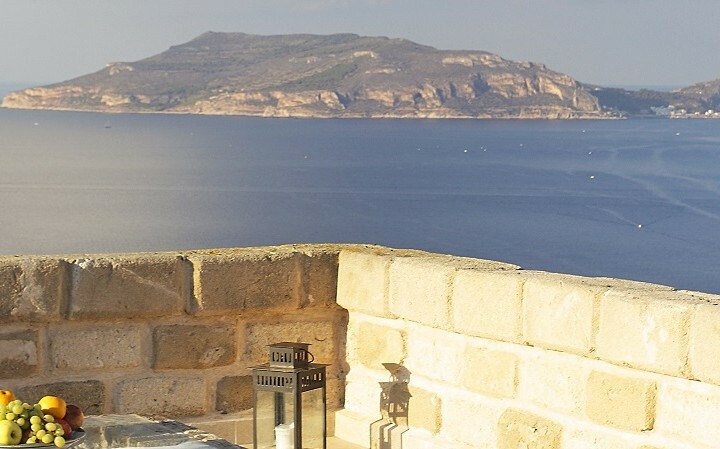 Visit our special offers page for a full list of promotions and discounted villas in Sicily. 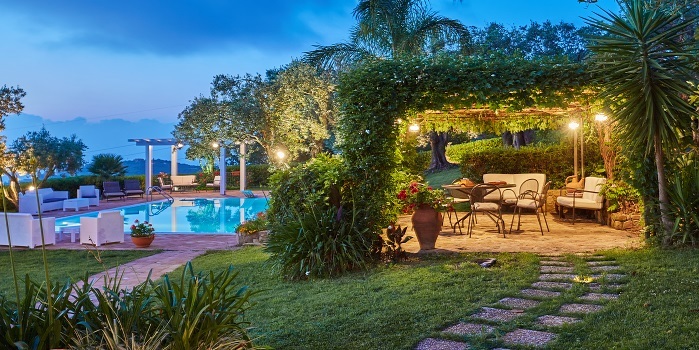 With seven bedrooms and bathrooms and a fabulous sprawling garden, Villa Rosa Antica is the ideal place for a week of poolside relaxation. Buddy up with another family and enjoy al fresco meals on the charming rose-scented terrace or under the shady pergola by the pool. The villa is situated on the slopes of Mount Etna, within easy reach of the beach and the towns of Acireale and Catania. A week at Rosa Antica at Whitsun starts at £2932 (sleeps 12) or £2345 (sleeps 6). Fly BA, Gatwick to Catania.